Ideal for daily maintenance of terrazzo. Safe for the daily cleaning of metallised polish. Advanced formula removes grease, boosted soil suspending performance ensures rapid cleaning action. Extremely low foam optimised for suction driers. 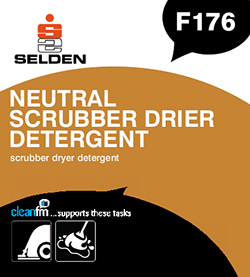 Suitable for all scrubber drier machines and for general machine scrub applications. Ideal for daily cleaning of sensitive surfaces such as stone, terrazzo, marble and polished floors.